The Makapu’u Jack-Stance Challenge with Mr. Lindholm appearance! Saturday! Gathering of the best 48 dropknee (Jackstance) riders in the State. Jack Lindholm coming as Special Guest of Honor. All star competitor list of Hawaii Bodyboarding Pro Tour competitors combined with underground and Freesurf rippers. This is a gathering of living legends never seen in one place before. 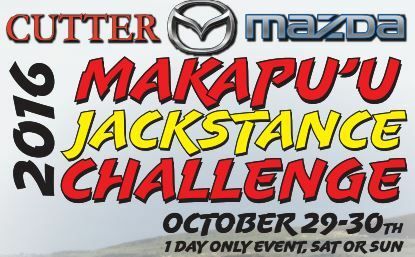 The Cutter Mazda Makapu’u Jackstance Challenge is THE PLACE TO BE THIS SATURDAY October 29. 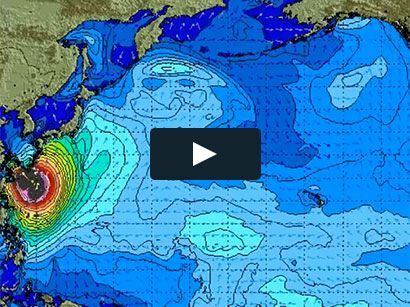 Surf will be solid 2-4′ with ENE Trades filling 15-30mph. 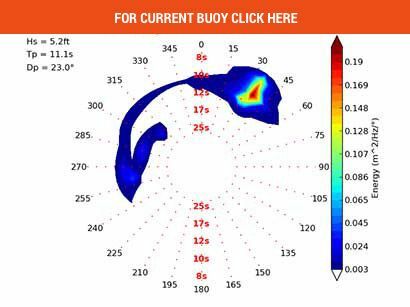 Outside Left to Middle biggest. SNN. 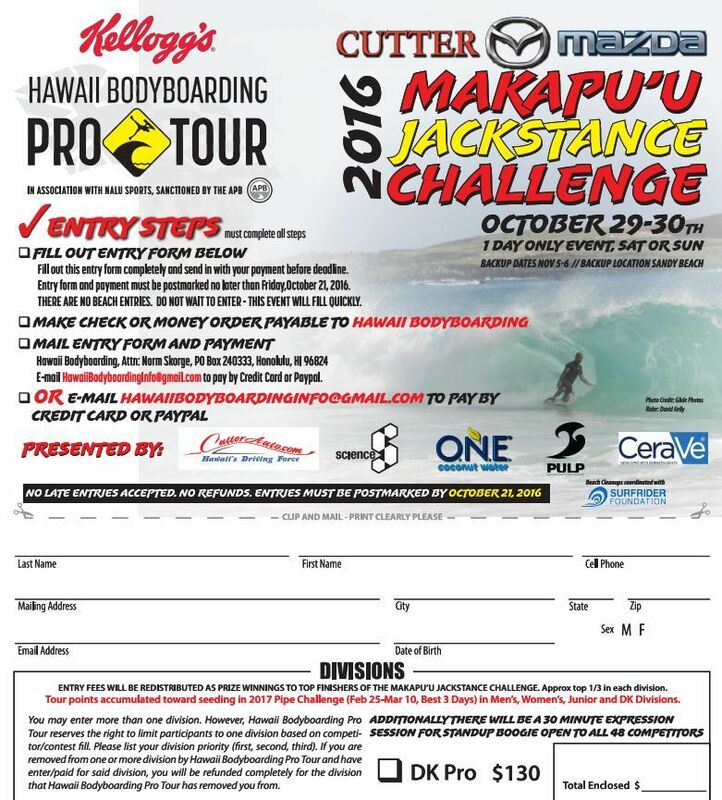 Makapu’u, Oahu, HAWAII – (October 28, 2016) – This weekend, 48 of Hawaii’s top DropKnee competitors will face off in an anticipated overhead-double overhead surf for the Cutter Mazda Makapu’u Jackstance Challenge and Invitational. “We’re gathering the best 48 dropknee (Jackstance) riders in the State,” said Tour Organizer Norm Skorge. The event itself is highly unique, just as Skorge alluded to: 24 invitees from the Hawaiian Islands will go head to head with 24 Hawaii Bodyboarding Pro Tour seasoned vets. This sets the stage for high drama, including big upsets and the possibility of lesser-known chargers making it to winner’s podium. Those on the Hawaii Bodyboarding Pro Tour include the winner from the Sandy Beach Challenge DropKnee division Kawika Kamai, Kauai’s talented Sammy Morretino, Jimmy Hutaff, winner of the Masters division at both Ala Moana Bowls Challenge and the Sandy Beach Challenge, and more. Makapu’u, the site of the Cutter Mazda Makapu’u Jackstance Challenge and Invitational, holds an important place in the history of bodyboarding. Since the 1950s, because of the thunderous, powerful shorebreak, the locale has been a famed bodyboard location. In the 1970s, Jack Lindholm became a familiar face in the lineup. Jack was known to ride “Jackstance” or DropKnee, pioneering the pillar of the sport. In the spirit of nostalgia and to honor the man himself, Jack Lindholm will be at the event and will be available for interview. One Dropknee champion will be crowned at the end of the day, and a BBQ and movie night will follow the awards ceremony at Sea Life Park. Photo Caption: David Kelly pulls in at the heavy shorebreak that makes Makapu’u such a famed bodyboarding locale.